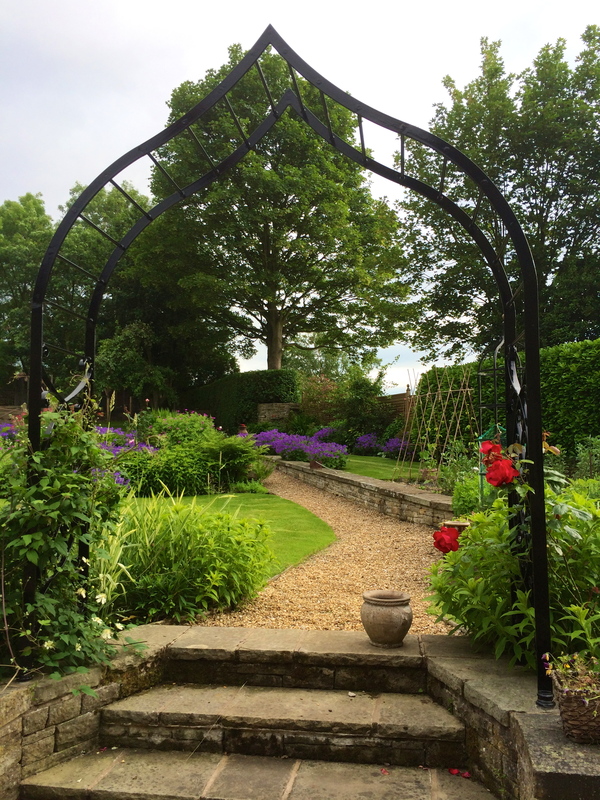 Rose arches have been a feature key of garden design for hundreds of years, as a simple way to create a subtle transition between different areas of a garden. The right arch can be used to display a stunning climbing rose to its full potential during the summer months, and still provide a striking feature during winter months. Our garden arches are made to last, from metal with no plastic components. We recommend a powder coated finish to protect against weathering. This commission features a simple ladder type roof structure, to ensure stability and encourage plant spread, with a decorative lattice and floral motif at the sides. 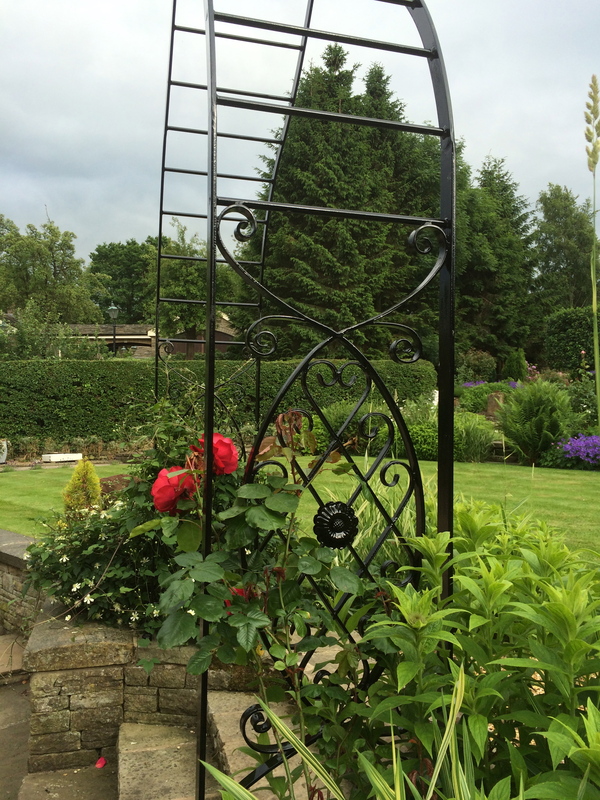 If you are interested in a garden arch or any type of bespoke ironwork for your garden, please get in touch.